The UK energy market has changed considerably over the last century and it is now fragment with different elements operating separately. Learn more about how the energy market works and how it evolved. Who Plays a Role in the UK Energy Market? Each of the roles above tends to be owned and operated as separate entities, although some energy companies also own one or more distribution networks, and own one or more generation power plants. For more see: Who Supplies My Gas and Electricity? What is the Generators/Transporters Role? The energy generators role is to generate the electricity required by the energy suppliers and within the demands of what the National Grid needs. The generators tend to export their electricity straight to the National Grid’s transmission network, although if the generator is producing lower volumes they may be connected to the local distribution network rather than the National Grid, this applies to those generating less than 150MW in England and Wales, and 10MW in Scotland. The gas transporters role is to transport the gas to the National Transmission Network operated by the National Grid. Unlike electricity, gas can be more easily stored and released into the transmission network when needed. Both gas and electricity providers must have licences from Ofgem to operate in the UK and they have agreements in place with the National Grid to supply energy when needed as well as selling the energy to the energy suppliers. What is the Transmission Network Role? There are two types of transmission networks in the UK, one for gas and one for electricity. The gas transmission network is called the National Transmission Network which covers England, Wales, and Scotland, and it is owned by the National Grid. The gas is transported at high pressure through the National Transmission Network before being transported to the local distribution networks at either medium or low pressure. The electricity transmission network in Great Britain is owned by three companies. The National Grid owns and operates the transmission network in England and Wales. The Scottish transmission network is owned by two companies, Scottish Power and SSE, but the National Grid operates it. The electricity is transported in the transmission network at higher voltages for ease of transporting it and to reduce losses. The electricity needs to pass through a transformer on the local distribution network to reduce the voltage of the electricity to a usable level. The National Grid is responsible for the network of pipes and cables along with other assets on their network, but they are not responsible for the local distribution networks. They are also responsible for ensuring that there is sufficient energy in the transmission networks to feed the demand but also that supply does not outstrip demand. To manage supply, they have multiple arrangements in place to ensure continuity of supply. The National Grid charges the users of the transmission networks to pay for its operating costs which is in turn passed on to the energy consumer. What is the Distribution Network Operators Role? There are two sets of distribution network operators (DNOs) in the UK energy market, ones that manage the gas networks and ones that manage the electricity networks. The gas network in Great Britain is made up of eight regions which are owned and run by five distribution network operators. The distribution network operators are responsible for the repair and maintenance of the pipes that transport gas from the National Transmission Network to the end user. They are also responsible for new connections to the network and moving any pipes when needed. The electricity network in Great Britain consists of eight regions that are owned and operated by six distribution network operators. The network that the distribution operators manage consists of the cable (overhead and underground), sub-stations, and transformers that run between the National Grid and the end user. They are responsible for the maintenance and repair of the network assets and respond to power cuts in their regions. The distribution network operators are also responsible for connecting new properties to the network and any new generators below 150MW in England and Wales, and up to 10MW in Scotland. The cost of the distribution networks is transferred to the energy bill payer through the charges that they place on energy suppliers who use their network to supply their customers. What is the Energy Suppliers Role? The energy suppliers’ role is to purchase energy on the open market and supply the energy purchased to its customers. Energy suppliers are charged for the energy being transported from the generator to the end user by both the National Grid and the distribution network operators. Energy suppliers are responsible for sourcing the electricity they supply, billing, payments, and the meters in the property. In addition, the energy suppliers often have a lot of responsibility placed on them through obligations to deliver the government schemes to their customers or on behalf of the energy market. Government schemes include the Energy Company Obligation, Feed-in Tariff, and Warm Home Discount. They also have to meet targets set as part of the Renewable Obligation on the amount of renewable energy they have in their electricity fuel mix. Ofgem as the energy industry regulatory body oversees all these functions and businesses that operate in this sector. Many of the functions require the owners to have a licence to operate and they must adhere to strict guidelines and rules as outlined in their licence. Ofgem’s role as the industry regulator is to protect the interests of energy customers in the UK which they do through revenue controls, supporting the security and sustainability of supply, promoting and supporting the transition to a low-carbon economy, regulating the market, and the delivery of government-based schemes. They monitor and report on the industry’s performance for the government and publish public reports. 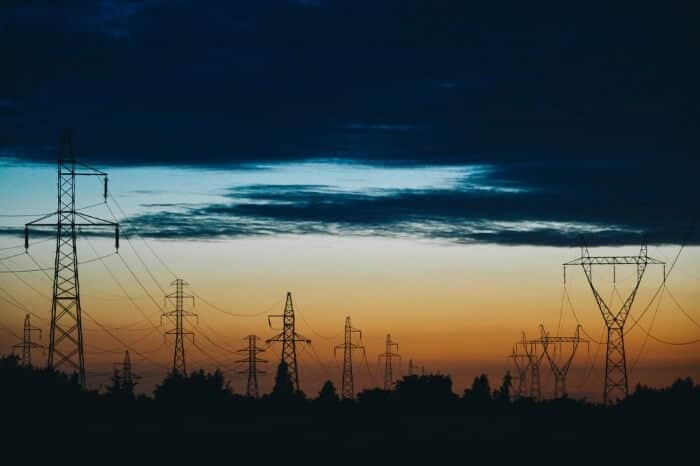 In some cases, they enforce price controls on what they can charge for their services, this includes the National Grid and the local distribution network operators. How Has the UK Energy Market Evolved? In the past 70 years, the UK energy market has gone through a massive expansion and several major changes that have transformed the marketplace. Prior to 1948 the UK energy market was very fragmented and not organised with hundreds of small companies and local authority operations serving the local communities. The Electricity Act 1947 and Gas Act 1947 nationalised all energy-related businesses and formed the government-owned operations that allowed the energy market to grow and evolve into a national network. The country’s energy market whilst nationalisation was split into 12 regions that managed the distribution network and the supply of energy. The national transmission networks were created and were run nationally, as were the power generation businesses. The Gas Act 1986 was introduced which saw the privatisation of the UK gas industry. The Electricity Act 1990 was introduced which saw the privatisation of UK electricity industry. The privatisation of the electricity industry saw the regional distribution and energy suppliers that formed the Electricity Boards bought and sold many times over with many of the regions merging with other regions and the distribution business being split off from the energy supply business. The electricity board regions were maintained as operational areas until 1998 when the electricity markets were opened up to competition and customers could choose which electricity supplier they wanted to supply them. The gas industry was privatised as a whole and floated on the stock exchange and operated as British Gas. It was not until 1996 that the gas market was opened up for other businesses to enter as gas supply businesses that competition was introduced into the market. Privatisation also saw the energy generation, gas transportation, and the national transmission networks were sold to private companies. Today many UK energy companies own portfolios that include energy supply, combined distribution network areas, and generation plants. Many of the original regional electricity boards and gas network make up the Big Six energy suppliers as they have maintained customers in their original operating areas and were able to dominate the market as it was developing into an open market.